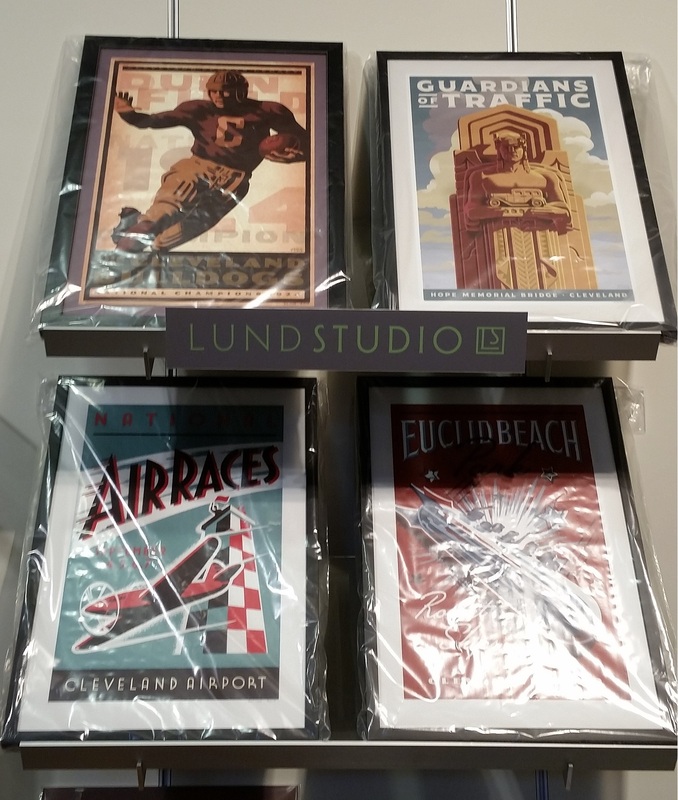 Lund Studio art prints are the work of Northeast Ohio based illustrator & graphic designer Jon C. Lund. In his 25 plus year career he has produced vintage style artwork for such clients as: The US Tennis Association, Major League Baseball, Coca Cola, Chirardelli Chocolate, Starbucks, the NFL and a certain little company run by a mouse. With nearly 1000 clients over the years, you have probably seen some of his work already. His influences include everything from antique store finds and the WPA to the early 20th century posters of artists like Britain’s Tom Purvis and Austria’s Joseph Binder. These prints of his graphic art are an artistic homecoming of sorts to the subjects and the hardworking industrial culture of the area he’s call home his entire life, Northeast Ohio.